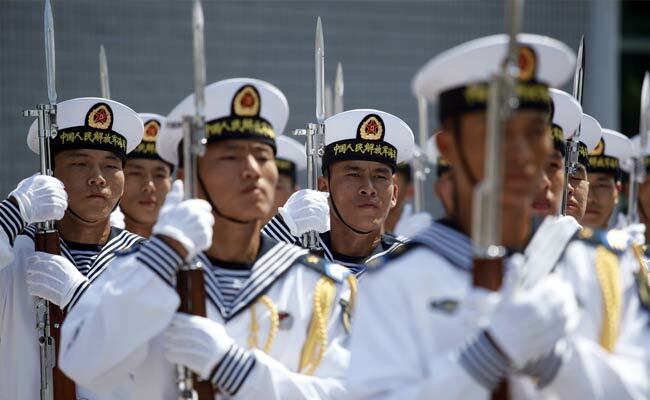 China had 183 cruisers, destroyers, small surface ships and submarines last year, compared with 188 for the U.S. The presence of Chinese warships is already shaping world affairs, a trend that will only accelerate. China's "blue water" navy -- and how to respond to it -- will be on the minds of Australian Prime Minister Malcolm Turnbull, U.S. Defense Secretary James Mattis and others gathering in Singapore this weekend for Asia's most high-profile security conference, the Shangri-La Dialogue. From the East China Sea to the Horn of Africa, the growing presence of Chinese warships is already shaping world affairs, a trend that will only accelerate. "By 2030, the existence of a global Chinese navy will be an important, influential and fundamental fact of international politics," said Patrick Cronin, director of the Center for a New American Security's Asia-Pacific security program. The U.S. and its allies "need to begin preparing for a 'risen China,' rather than a rising China." By one measure, the People's Liberation Army has already caught up with the U.S. -- Asia's preeminent sea power since World War II. China had 183 cruisers, destroyers, small surface ships and submarines last year, compared with 188 for the U.S. That's according to a CNAS analysis of data supplied by the International Institute for Strategic Studies, which organizes the Shangri-La meeting. CNAS projected in a March report that the PLA Navy will deploy 260 such ships by the end of the next decade, surpassing an estimated 199 for the U.S. That growth has helped fuel calls for a U.S. shipbuilding surge, with the Navy's operations chief, Admiral John Richardson, saying earlier this month in Singapore that America needed to build more warships -- and fast. 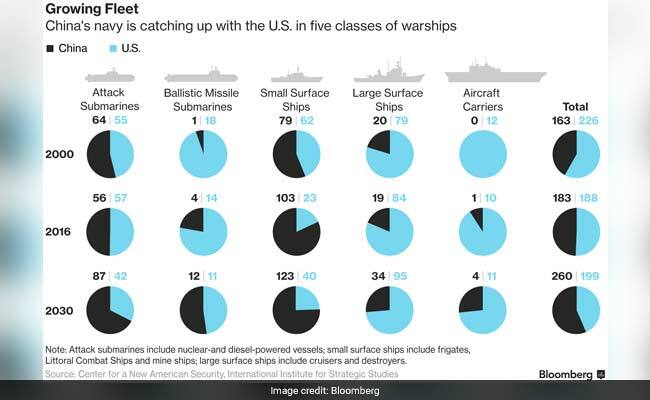 To be sure, projecting naval power across oceans often means aircraft carriers. And deploying carrier strike groups around the world -- like the 10 the U.S. now operates -- requires a network of overseas bases. China lacks both. Frigates and other small vessels are expected to comprise the bulk of the country's future fleet. 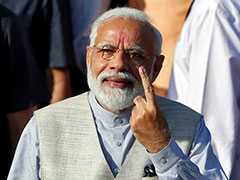 Chinese President Xi Jinping is nonetheless making preparations to be able to project force into the Indian and Pacific oceans, which surround the country's growing economic interests in Africa, the Middle East and Southeast Asia. China launched its first domestically built aircraft carrier in April, the second of as many as six such vessels. 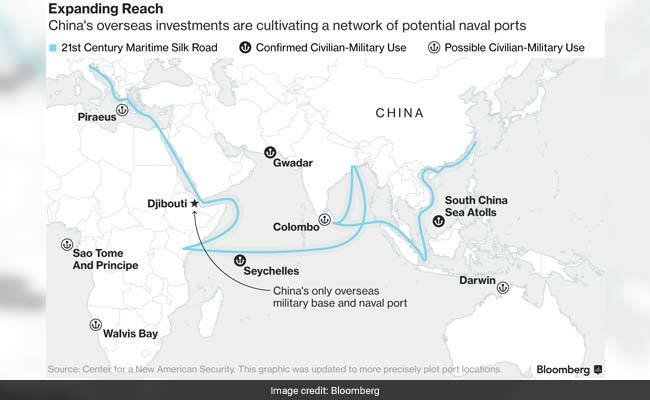 The country is also developing its first overseas base -- Chinese officials call it a "support facility" -- in the East African country of Djibouti, where the French and U.S. also have military installations. Such opportunities are expected to grow as China helps develop ports around the world under Xi's 21st Century Maritime Silk Road trade-and-infrastructure program. How to respond to China's growing naval power has preoccupied many of the admirals, ministers and defense contractors who are expected to begin assembling Friday at the Shangri-La Hotel in Singapore. 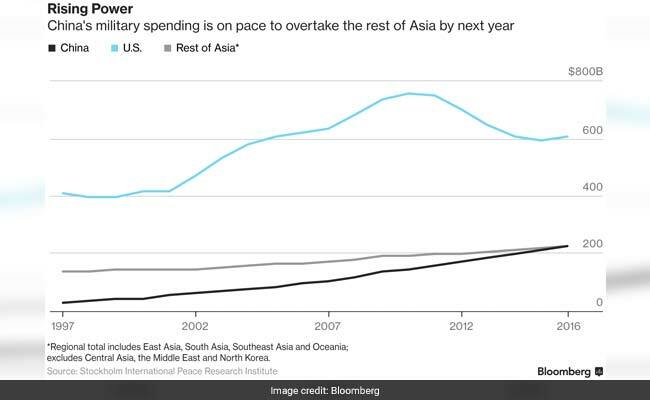 Chinese defense spending is on track to exceed the rest of East Asia, South Asia, Southeast Asia and Oceania combined this year, according to estimates from the Stockholm International Peace Research Institute. China's neighbors are now expanding their own fleets. This year alone, India, Singapore, Taiwan and Thailand have announced plans to build or acquire submarines. India aims to add 60 warships over the next decade to amassing a 200-vessel fleet. The proliferation of submarines prompted Singapore's naval chief, Rear Admiral Lai Chung Han, to call for a code of conduct earlier this month to reduce the risk of accidents.